Low-Carb CUCing! Chicarrone-crusted Chicken Fried Steak | Just Cuc It! Since about a month ago, eating better has moved to the top of my list of priorities. Doctor’s orders. It turns out you can’t outcook your genes. My mama’s had Type 2 Diabetes for over a decade now and it has finally found its way into my life. Buggers. 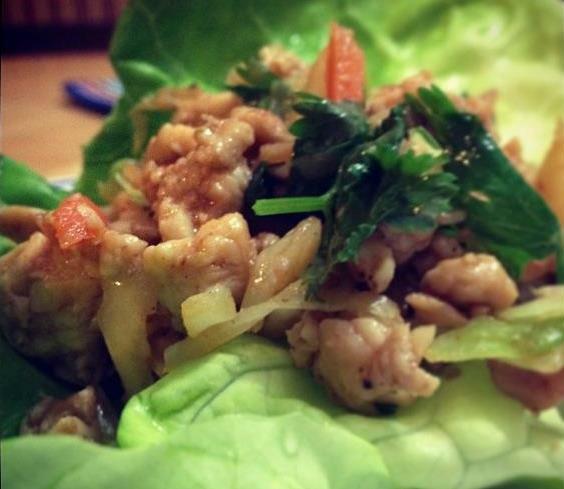 How do you still love to cook when you can’t eat what you make? You find a way to make it better! We’ve been experimenting with lots of new low-carb recipes and while a few have been meh, most have been stellar! This one in particular is fantastic! We walk about a mile and half around our neighborhood with a few of our neighbors every day (or as much as we can). 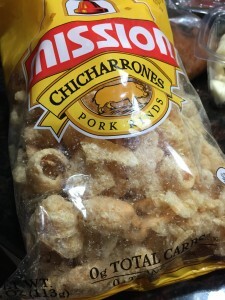 A few walks ago, Carol, who coincidentally was diagnosed with T2D a week before I was, mentioned using pork-rinds as a coating for chicken tenders. We decided to take it to another level! 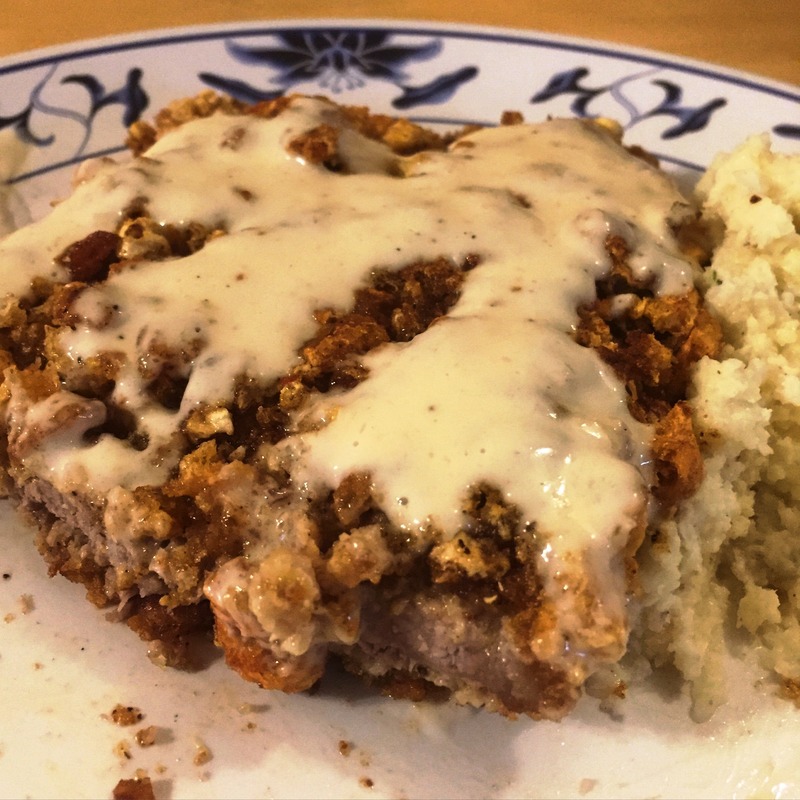 The chicken fried steak turned out better than I could have imagined! Luckily, we had found some tenderized pieces of round on sale at the local Fiesta – something ridiculous like $2.47/lb! 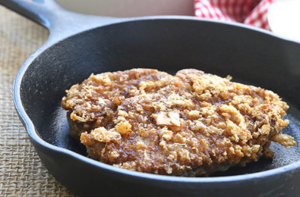 A low-carb version of a southern comfort favorite! Sprinkle both sides of your meat with salt and pepper. I let my steaks sit salt n peppered, covered in the fridge overnight for extra seasoning! Place into the hot oil and let fry until crispy. Because the meat was pounded so thinly, it should not need more than 2-3 minutes per side to cook. Heat butter in a small saucepan over medium heat. Add minced garlic, sauté but do not let it burn. Add cream, parsley and salt and pepper, stir until it reaches a boil, then reduce to low and simmer. Gravy will start to thicken. 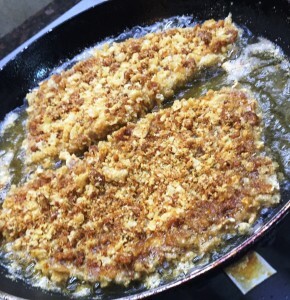 Ladle gravy on top of the chicken fried steak and serve! *A quick cheat for the gravy which we love in my house . . . you can start with a jar of classic alfredo sauce; Ragu makes a simple and delicious one. Use ¼ cup, along with the other ingredients and add 2 tbsp of parmesan cheese for an extra cheesy kick! We had this with a Cauliflower *Mock Garlic Mashed Potatoes. Recipe can be found on the blog too! Hi Misty! How did it go? I just made this, minus the gravy. I used spicy pork rinds and it was excellent. I had bacon grease so I used that to fry it in. I made Alfredo zucchini noodles on the side. Best keto dinner I have had yet! Trying this tonight! I’ll let you know how it goes!! There is also a meat cuber named “Fast Cutlet Maker V2” that crush the flesh and form a nice cube pattern on it. It’s mostly popular among polish people.